Skiers and snowboarders are reportedly "stoked" to "shred the gnar" today as cold weather and early snowfall make for early openings at California ski resorts. 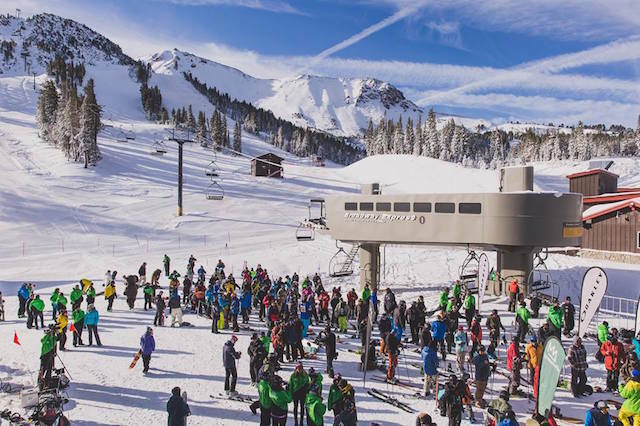 First out of the gate was Mammoth Mountain, which opened yesterday with just 10 runs according to conditions tracking website On the Snow. Still, CBS SF reports that the occasion marks the earliest opening in five years, a symptom of the drought. Boreal Mountain resort in Truckee will open to "powderhounds" today. The first snowfall of the season in Tahoe on October 29th complemented cold temperatures during which ski mountains were able to make snow. "Everyone is pretty excited for this long-forecasted, biggest El Niño,” Daniel Pistoresi of Ski Lake Tahoe told the Business Times. “That definitely has all the ski resorts abuzz."